With ‘exceptional refinement and supreme power delivery at all times’, the 12-cylinder petrol engine with M Performance TwinPower Turbo technology pumps out 610 bhp at 5,500 rpm and has peak torque of 800 Nm - for a 0-62mph time of 3.7 seconds on the way to an electronically limited top speed of 155mph (189mph with optional M Driver’s Package). 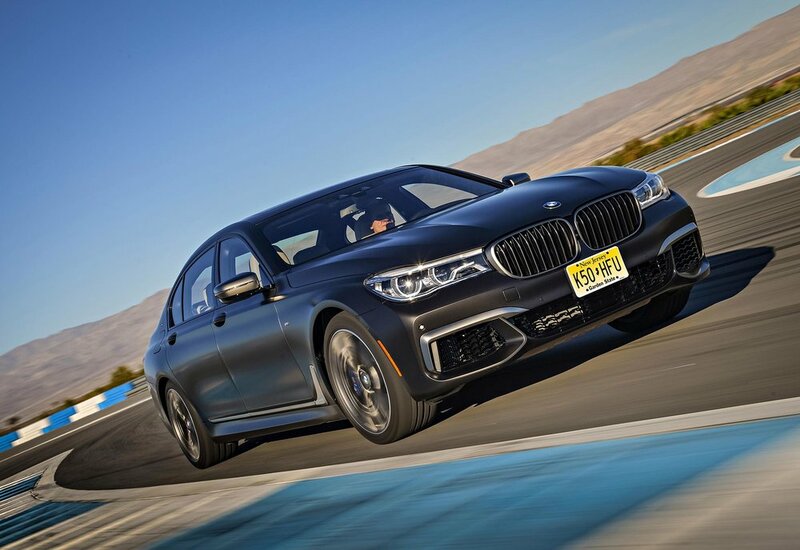 Power transfer is via the BMW’s latest eight-speed Steptronic Sport transmission as standard. The M Performance-specific tuning of the shift programs, delivering sportier gear changes and more instantaneous downshifts throughout the rev range, has been specially adapted to the characteristics of the V12 engine. 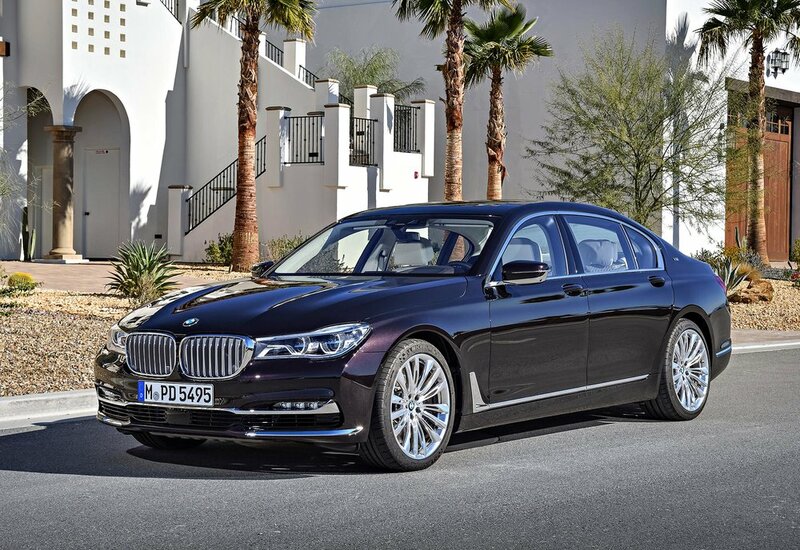 An Executive Drive Pro suspension system offers dynamic sharpness and ‘unbeatable ride comfort’ says BMW. Active roll stabilisation minimises body movements, and the system teams up with performance tyres, fitted to exclusive 20-inch M light-alloy wheels in matt Cerium Grey metallic. Stopping power comes from new 19-inch M Sport brakes with blue metallic brake callipers and M badging. The rear-biased xDrive all-wheel-drive system takes its lead from the available grip levels, to distribute engine power to all four wheels as the situation demands - while delivering M Performance levels of ‘dynamic excellence’. An M aerodynamic package with larger air intakes in the front apron and exclusive 20-inch M light-alloy wheels in double-spoke design with matt Cerium Grey finish offer a sporty appearance along with V12 badges on the C-pillars, M logos on the sides of the car and the xDrive lettering and model badge at the rear. A new M sports exhaust system with flap control generates a ‘rich V12 soundtrack’ and adds the finishing touches to the M Performance look, with its galvanised Cerium Grey twin tailpipe embellishers in exclusive design positioned on either side. On the inside, an exclusive M leather steering has Pearl Gloss Chrome multifunction buttons on its spokes and shift paddles for manual gear changes on the reverse. Door sill plates with an illuminated V12 logo are joined by M pedals and M driver’s footrest. The electrically adjustable front comfort seats with memory function and the Fineline black fine wood interior trim strips with high-gloss metal effect team up with high-quality deep-pile floor mats in the rear compartment and an Alcantara Anthracite headliner to generate a luxurious ambience. Nappa leather trim covers the seat surfaces, seat side sections, head restraints, door cards, centre armrests and side armrests to round off the 'elegant atmosphere in tasteful style'. An M760Li xDrive V12 ‘Excellence’ option is also available at no extra cost. This option removes the M aerodynamic package and adds 20‑inch BMW Individual light-alloy wheels in W‑spoke design high-gloss polished with mixed-size tyres. There is also a high-gloss Black finish for the brake callipers. The V12 Excellence model has a chrome bar extending across the full width of the car in the upper section of the air intake grille. In addition, the kidney grille bars are in Silver with chrome fronts and surrounds likewise in bright chrome. All the other trim elements on the body also come in bright chrome. In place of a model designation, a “V12” badge is added to the boot lid. The comfort-oriented exhaust system’s pair of chrome, rectangular tailpipe embellishers are now framed by additional chrome trim. 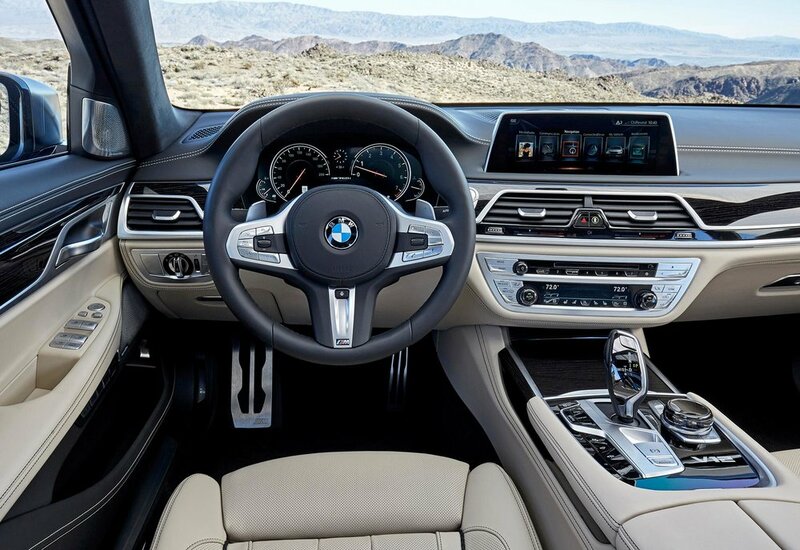 Inside the car, meanwhile, the BMW steering wheel features wood inlays, and the V12 lettering in the instrument cluster – whose speedometer extends as far as 160 mph – illuminates when the driver fires up the engine. The comfort-biased exhaust system with its ‘refined’ soundtrack also helps to accentuate the specific character of the V12 Excellence model.